Today’s post is the second exploring piano diploma repertoire. You can read my first post, here. 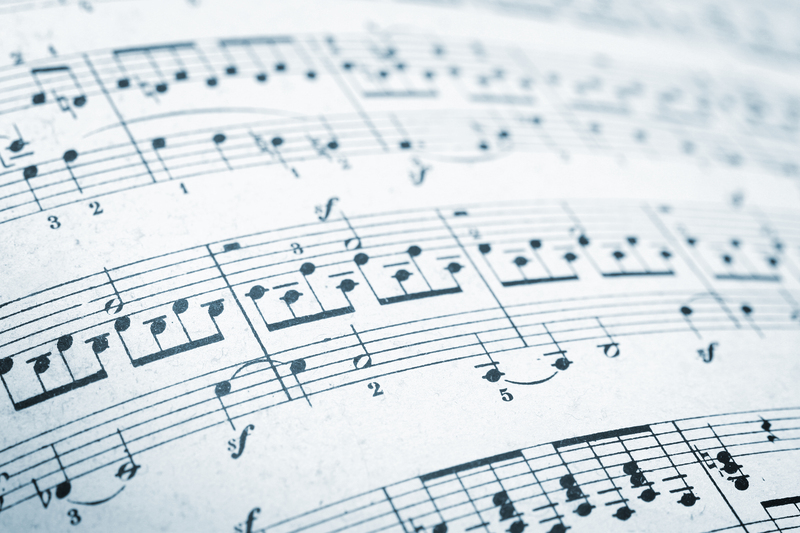 As the previous article describes, there are many ways of ensuring an interesting well-balanced programme, but when it comes to choosing the music itself, how and what do you select? Which pieces make ‘safe’ choices and what constitutes an appealing, yet diverse assortment? Personal taste plays a gargantuan role, and what suits one will not be necessarily attractive to another. Here are a few tips and suggestions (which are based on my taste and experience with pupils). You could aim to include a larger work; a sonata is ideal because it contains several movements, allowing you to display a whole gamut of emotions resplendent in one piece, and you can convey musical understanding, through the structure and various layers of textures. Slow movements often provide an opportunity to rest technically (although musically they are demanding). Classical sonatas, typically those by Beethoven, Haydn or Mozart, make prime choices. The more dramatic works provide excitement, passion and theatrics; they are fun to play and practise, lie comfortably, and there’s plenty of scope for development and improvement whilst learning them. They also take anything from 15 to 25 minutes to perform, and therefore form a large chunk of the proposed recital (a significant consideration). Inclusion of works from the Classical style demonstrates an ability to play cleanly, concisely, rhythmically, with clear articulation, and brilliant finger work; if you don’t possess this final attribute at the start of learning, then you should by the end!. A Baroque Suite, such as those by J S Bach, may also make an exemplary choice; whilst they are very different stylistically to a Classical sonata, they too proffer the opportunity to display many emotions and technical elements, all wrapped up in several movements. Delving into less popular repertoire can bring a fresh and contrasting juxtaposition to a Classical or Baroque piece. Why not think about adding a couple of Twentieth Century works? There is colossal variety within this era; two works can represent totally opposing styles (especially if one is from the Twentieth, and another the Twenty-First Century). Whether you decide to select early Twentieth Century works by major French composers (Debussy, Ravel, Poulenc), Russian masters (Scriabin, Shostakovich, or Prokofiev), or later Twentieth Century pieces, you’ll find a collection of fascinating and lesser played gems which can make compelling choices. I recommend considering works from the latter half of the Twentieth Century through to the present day; students invariably love their diversity, their challenges and they seem to enjoy discovering composers who are either living or who died relatively recently. Superlative choices might encompass works by Lennox Berkeley, Peter Sculthorpe, Oliver Messiaen, Diana Burrell, John McCabe, Edwin Roxburgh, and – a new discovery for me – Douglas Lilburn (from New Zealand). These inclusions hide on diploma repertoire lists, and are frequently sidestepped. Devising an imaginative programme with at least ten minutes of music selected from those composers mentioned above might be a prudent choice. Combining a Messiaen prelude with a work by Diana Burrell for example, will not necessarily be conflicting stylistically. Peter Sculthorpe’s beautiful Night Pieces work well with a composition such as Douglas Lilburn’s From the Port Hills too. These options may entice and inspire pupils, encouraging them to branch out, seeking the less trodden path. If either you or your students are in the process of deciding on a programme, or are thinking about taking a diploma, spend time surveying the repertoire on offer. Work out timings carefully, and make certain you’ve listened to all possibilities. You’ll learn more this way and may uncover exciting discoveries, which should bode well for your recital, and for the viva voce which is a necessity in some exams. The following repertoire suggestions are from the major UK examination board’s various current performance diploma selections (please obtain the appropriate syllabus and check these listings for yourself before making any decisions). After each composer and listed piece, I’ve added the diploma to which they belong (in brackets). To download a syllabus, click on the exam board name at the top of each list. A blog can provide the ideal opportunity to highlight less familiar Contemporary music, and this interesting set of pieces by British composer Ed Hughes (born in 1968), employs the piano in all its glory. Orchids consists of six movements written between 1990 and 2002 for a collection of fine pianists; Benjamin Morison, Stephen Gutman, Robert Saudek, Nicolas Hodges, Michael Finnissy and Richard Casey. Hughes has written for a whole variety of genres including ensemble, orchestral, solo and choral/vocal compositions, many of which have been performed in the UK and abroad, as well as broadcast on BBC Radio 3. Glancing at his biography, I noticed he has also worked on music for silent films; Battleship Potemkin and Strike. On listening to Orchids, it’s immediately obvious that Hughes’ style would lend itself perfectly to the silent movies medium. Full of drama, pathos and at times sheer terror, these works are not for the faint-hearted pianist, nor are they suitable for those who aren’t keen on notes, because the virtuosity required to do justice to these pieces is considerable (post-diploma level in my opinion). Ed Hughes prefaces the score thus: A series of works for solo piano, the exotic floral image of the series title suggesting common patterns which underly gradual changes in the music. Each is a variegated single movement form in which the sections fold into each other, like waves or petals, disturbing and interrupting the surface polyphony. There are several noticeable features present in Hughes’ compositions. The first is polyphony; each piece is laced with so many different layers of sound and colour, which at times becomes all-consuming. Secondly, the use of rhythm, which is complex, with many of the contrapuntal strands running in completely separate rhythmical patterns which somehow all glue together impressively. Use of timbre and tonal contrasts seems intrinsic to the style and sonority, and provides much-needed variation too. Orchid 1, written in 1990, (dedicated to Nicholas Hodges) was first performed in January 1991 at Blackheath concert Hall by Michael Finnissy. This piece contains four parts (or lines of music) which all compete for attention, and require a cantabile sound. Menacing, melodic and rhythmically challenging, there is plenty to keep the performer and listener’s focus. The second work Orchid 2 (dedicated to Benjamin Morison), was written in 1991 and first performed at the British Information Centre in 1992 by the dedicatee, is considerably faster but just as contrapuntal. Displaced rhythmic patterns and a trance-like character pervade. The third Orchid, written in 1994 (dedicated to Stephen Gutman and first performed by him at the Brighton Festival in May 1994), is the longest of the group and begins calmly with a hymn-like serenity. Largely tonal, the work becomes increasingly florid, with many double note passages creating a highly evocative atmosphere. The remaining Orchids depict various states of these delicate, beautiful flowers: No. 4 (composed in 1996 for Michael Finnissy and first performed by Ian Pace at the British Information Centre in July 1996), feels slightly improvisatory, with harmonic ambiguity and a nocturnal aura, whereas No. 5 (written in 2000 for Robert Saudek), is a frenzied and virtuosic Toccata. The final Orchid (written in 2002 for Richard Casey and first performed by Richard at the University of Sussex in February 2007) is edgy and dissonant; a biting, brittle sound with impressionistic seasoning. Orchids are imaginative and full of intensity; if you are searching for unusual Contemporary piano pieces which explore the entire range of the keyboard, both physically and tonally, look no further. The complete set has been recorded by Richard Casey (2011), on a disc entitled Dark Formations (Divine Art), which is a compilation of Hughes’ works. You can find out more about it here.